Galvanized Flower Bucket with handles – 32 Liters. 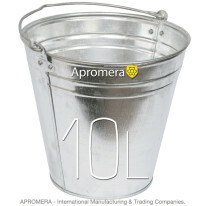 Metal Flower Bucket adds timeless quality to your garden. Metal Flower Pot make convenient containers for your flowering plants, and they bring a touch of rustic beauty or industrial style to your yard. These stylish Flower Pot can be arranged singly or in groups, indoors or out, to provide an impressive display of your favourite plants. This zinc metal frost-resistant material allows the planters to be stored outside over the winter when emptied and placed upside down. Can use Indoor or outdoor and all weather, can remain outside while planted throughout the winter. 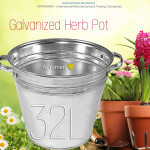 The Metal Flower Pot are a dependable and adaptable container that will give your arrangement a shabby chic flare. 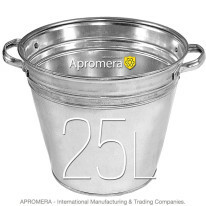 We produce large Galvanized Flower Bucket of steel with a thickness of 0.45 to 0.55 mm. Such production is considered to be a standard quality. It is more resistant to deformation and outside influences. 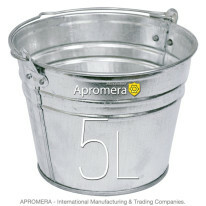 The handles of the Galvanized Flower Pots is made of 0.50 to 0.55 mm mm steel. This increases the lifetime of products and their capacity. The most important thing. 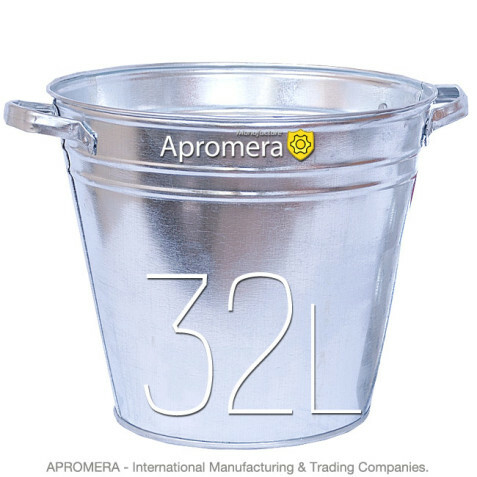 In the manufacture and assembly of the buckets we do not use welding and soldering, which lead to oxidation of the surface. All the joints are made with the help of seaming as well as using galvanized rivets, which further increases the strength of the products. 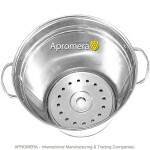 By assembly of the pots we do not use welding (we have abandoned it), and specifically: seaming the casing and calendering the bottom of the pots are made on the seaming machines (at the seaming spot 3-4 metal layers are made up, depending on the product type), which increases the strength and leakage protection of the articles. This process is called rolling. 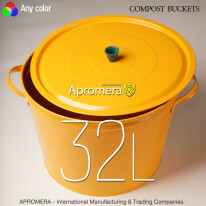 High quality and environmental protection materials. Our wholesale pricing allows us to work with any budget and get everyone hooked up with the best selection of products for their money.